BN/SPDP candidates needs a new mandate from you. 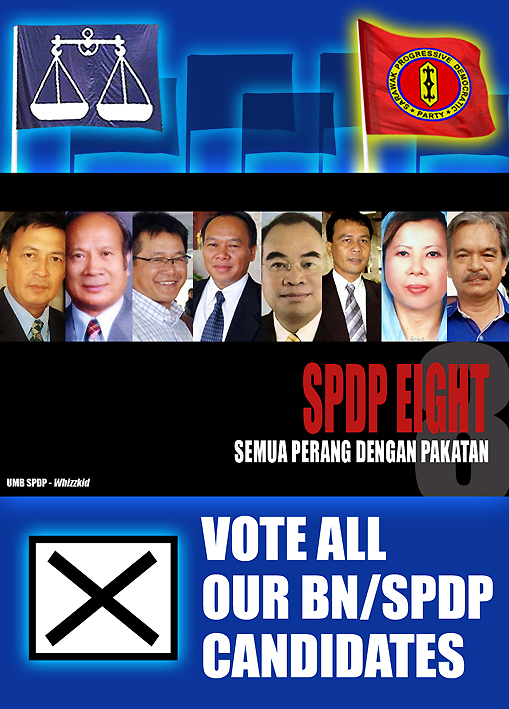 Make them your Peoples Representative in this Sarawak State Elections 2011. They will all be up against PKR,SNAP,PCM and Bebas candidates.Vote for them to Transform Sarawak. Secure your FUTURE with BN. Jaminkan Masa Hadapan anda dengan BN. Having a morning breakfast surrounded by DAP pamphlet troopers is one thing. They are using very able and friendly,young and pretty canvassers to attract the people to receive. Wow! 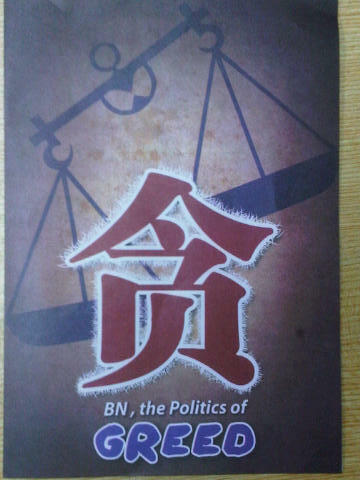 they can’t even wait for nomination day on the 6th April 2011 to start distributing. Any election rules broken may i ask the election commission.?? Are they afraid of SUPP? One component party member even said,”How can SUPP lose the chinese seats when their members already make up half the voting strength in the constituencies? They must be soemthing wrong with their “jentera” Maybe their director of operations have conveniently forgotten that within their midst they are three other parties within reach and has soldiers who are all ready to move for Barisan National. Its not the right and appropriate time to make noise but they are 16 days for SUPP to put it right and wrestle the seats back with assistance from the other three remaining coalition partners in PRS,PBB and SPDP. The spirit of BN is ever willing to assist SUPP but if the respective constituencies feels that they can go it alone “its a fair game” Surely,one will not just be a “party pooper” and will also be given the “LOOKS.” You know what I mean..?? Some SUPP constituencies particularly the rural ones are using and maximising the coalitions party boys and girls to the full. Its about time SUPP wake up and know that in the urban areas they are the component parties to help you. In 2006 the machinery broke down and many within the coalition partners are still around 5 years on. They remember. “WOUNDS MIGHT HEAL SCAR REMAINS……..
http://www.confuseall.wordpress.com has all the photographs to prove what we mention will be an achilles heel for SUPP. Everyone is reading……grrrrrr. So SUPP Please don’t repeat and make the same old mistakes. 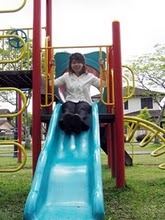 Open Up..
Violet Yong a lawyer by profession dealt a bitter blow and a nail in the heart of SUPP in the 2006 Sarawak Elections. Her win by defeating the SG of SUPP and also an Assistant Minister by 4372 was indeed a devastating blow. Pending was considered one of the stronghold for SUPP and no one would give her a ghosts of a chance to defeat Sim Kheng Hui in a predominantly Chinese area of 29503. She was on top of the slide but since then has her win put her in a position of over confidence? Will you still hear the words,”Boh Soo’ (no problem) from the opposition supporters as they try to protect their fort..?? SUPP will “chiong”(attack) DAP Pending Incumbent . Will she slide down and come down to earth and SUPP regains back Pending. We will know soon wouldn’t we..?? The voter turnout was 18986 and the DAP lawyer garnered 11632 while Sim managed 7260. The main issue during the 2006 campaign was the land rental premium plus some minor dissatisfaction led to SUPP paying the price and losing this bastion N10. A political observer says that”Dr Sim comes with a clean slate and SUPP has given the Pending voters a highly promising and a candidate with excellent track record to win back the seat. DAP Yong the incumbent will feel the pinch and she will have a difficult time protecting her turf.